Munnar woos people from all over India as well as foreign countries right through summer, and sometimes in the winter months too. The temperature ranges between 5 °C (41 °F) and 25 °C (77 °F) in winter and 15 °C (59 °F) and 25 °C (77 °F) in summer. The landscape is marked by undulating hills covered in lush tea gardens. The climate remains pleasant throughout the year, with temperatures rarely rising beyond 25 degrees. Located at a high altitude, the monsoon further enhances its appeal. 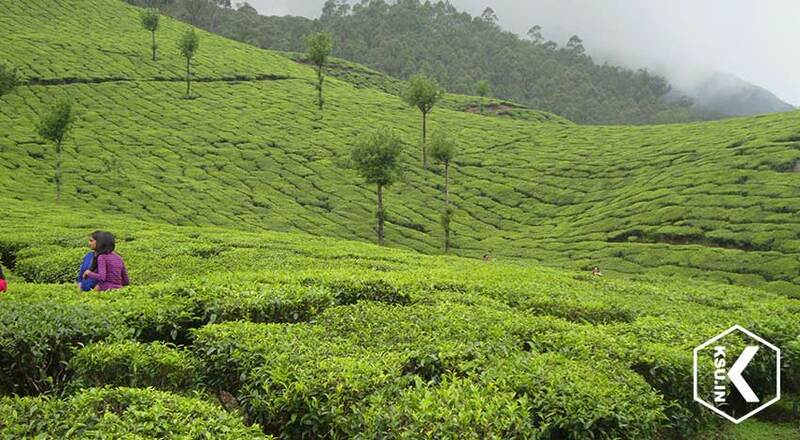 Munnar is famous for its tea and many of the areas around Munnar are carpeted with the lush greenery of tea plantations. Varieties of spices including ginger, garlic, cardamom, vanilla, pepper, cinnamon, coffee, tea, clove and nutmeg is cultivated in Munnar and its neighboring villages. There is splendid interaction between climate and vegetation. We can notice a marvelous change in vegetation, as one goes from Munnar to east Munnar. Munnar is home for exotic flora and fauna and endemic species.